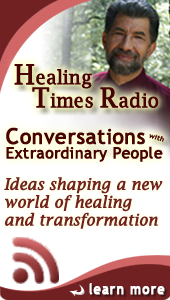 Our guest on this episode is Robert O. Williams former saxophonist for the Beach Boys and what can only be described as a consciousness explorer. He is also the author of a new book, Love is the Power. 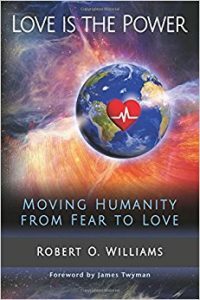 The question Robert asks himself, and us, is “What happens when we live all emotions, thoughts and body feelings – as love – as opposed to just searching for love?” His answer is that We are free to give to others without need or fear. That love is the power – and it is pure heart consciousness. In this passionate and heartwarming conversation Robert shares with us his unusually vivid memories of his unique childhood, an inspiring account of his talent and perseverance as a saxophone player, his introduction to Transcendental Meditation (TM), his magical time performing and recording with The Beach Boys, and the extraordinary journey through multiple near-death experiences and visits with other dimensions, where he discovered the art of living AS Love. Find out more at healtheworldproject.com. Robert O. Williams, inventor and developer of Quantum Code Technology™ [QCT] is the co-founder of ONE08, Inc., an innovative technology company. 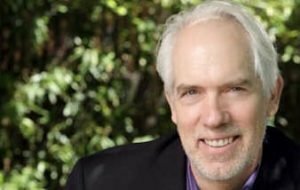 An expert in the study of subtle energy engineering and its effect on physical systems, Robert’s research has provided scientific breakthroughs in field-based technologies, consciousness, and human potential. Robert taught music, recorded and performed with such artists as The Beach Boys, Paul Horn, and Charles Lloyd. In 1978, he was Executive Director for LoveSongs Productions, Inc., a production company owned by Michael Love of The Beach Boys. Robert’s life changed in 1979, when he had a near-death experience. Since then, he devoted his time and energy toward researching consciousness, subtle energy, conventional physics and medicine. He worked with prominent scientists Professor William Tiller (Stanford University), Professor Beverly Rubik (UC Berkeley), Professor Rustum Roy (Penn State) and Professor Stuart Krassner (UC Irvine). Robert’s research was published in the Journal of Alternative and Complementary Medicine and the Journal of Subtle Energies and Energy Medicine. His technologies appear to change the elementary particle levels of coherence. Robert co-developed the ONE08 mobile phone Heart+ APP that enhances, supports, and maintains highly efficient human and animal bioenergy levels. 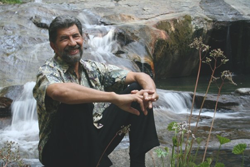 Robert co-developed a way to revitalize water, restoring the molecular relationships of H2O to match those of pristine healing waters. Robert’s study of particle physicality led him to the discovery of the technology that saved his life. He calls the discovery more of a “revelation” than anything else. After years of struggle, he comprehended the profound interconnectedness of nature and the innate intelligence at the foundation of life. He left the music business and studied the technology’s effect on the growth rate and health of sprouts and plants. He co-founded Coherence Industries in 1985 to begin research and development of devices and products for the masses. In 1991, Robert co-founded Clarus Products International, and Clarus Transphase Scientific, which has sold over 1.7m products worldwide to date. His book describes in detail how his life journey continued to turn from one direction to another, eventually leaving him struggling for his life, and the unexpected revelation that has improved the quality of life for millions. In Love is the Power, Robert O. Williams leads readers into the intimate journey of his life through the vivid memories of his unique childhood, an inspiring account of his talent and perseverance as a saxophone player, his introduction to Transcendental Meditation, his magical time performing and recording with The Beach Boys, and the extraordinary journey through multiple near-death experiences and visits with other dimensions which culminated in three decades of research and invention of Quantum Code Technology™ and the Heart+ App. Buy it here. Who are you? This is the most important question you’ll ever answer. To know — and to accept — who you are is the key to success in every aspect of your life. This extremely useful program is designed to enable deep Self-Acceptance. 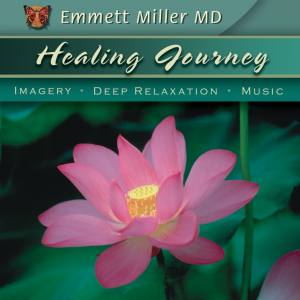 Let Dr. Miller’s expert guided imagery and Heart-to-Heart talk help you discover your true inner self — the big Self that exists at a deeper level than the little limited self that insists that you’re not good enough, not smart enough, or in some other way not capable of succeeding at whatever it is you want to do. With I Am – Awakening Self-Acceptance, you’ll encounter the truth of who you are. The program guides you beyond the distractions of the outside world and the distortions created by past experiences that together can make anxiety, fear, anger, guilt, sadness and other unwanted emotions part of your everyday life.Buy it here.